Most Phoenix Arizona homes had a treatment for Subterranean Termites BEFORE foundations were poured and they were built. 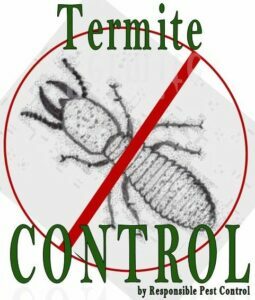 Depending on the termiticide used, that Termite pre-treatment generally lasts, and is warrantied by the applying company, for UP TO 5 years. Unfortunately, some contractors try to save money on Termite Pre-Treats, and it ends up costing You… The homeowner! Responsible Pest Control recommends having a Termite Inspection every year, and we do it for FREE! (fee applies for escrow) For Preventive Termite Control, we recommend Termidor Termite Treatments every three to five years.